Guest blogging can be an incredible tool to promote your site’s growth. Learn more about it and how to get the most out of the opportunity. No matter our goal, increasing our reach is always welcome. That is why we use social media and other means. Another way to raise the traffic on a blog is through guest blogging. During vacation, or sometimes even on a regular basis, bloggers offer spots for other writers to contribute to their site. It is an excellent learning opportunity to say the least. Not only you have the chance to expose your content to another public, but you can also develop new skills in the process. Write your best post ever! What If Time Is Not On Your Side? Maybe you are wondering what I mean by that. Aren’t I supposed to help you score a guest blogging slot? Why am I writing about your blog? Well, remember that one of the objectives of guest posting is to generate new traffic to your site. Can you imagine if after reading an incredible article from you, people landed on an “empty” website? Do you think these people will stay? If visitors arrive at your site, and they find just a handful articles, the only thing that will be increasing in your stats is going to be your bounce rate. Not only you want to fill your blog with great content first, but you want to make sure your brand is well-defined and in line with your guest post. For example, let’s say you are primarily a food blogger. Writing a guest post on the topic “blogging” out of the blue will have little effect if you have no posts on the subject on your website. But now picture this: you are a food blogger. After researching a lot on how you could improve your own blog, you collected information and wrote a blog series on “how to blog for profit“. If you decide to guest post about “blogging” there is a connection. When you choose a subject to write about, you want it to reinforce your image as an expert. In fact, most publishers will request a sample of your work anyway. Think about it before burning any contact. Let’s simplify a little bit. Instead of first writing enough posts on a new subject to hit a certain guest blogging opening, why not looking for publishers in your niche? Using again the example of the food blogger. Instead of first writing an entire series on “blogging“, it will be much better to look for other food bloggers offering guest post slots. 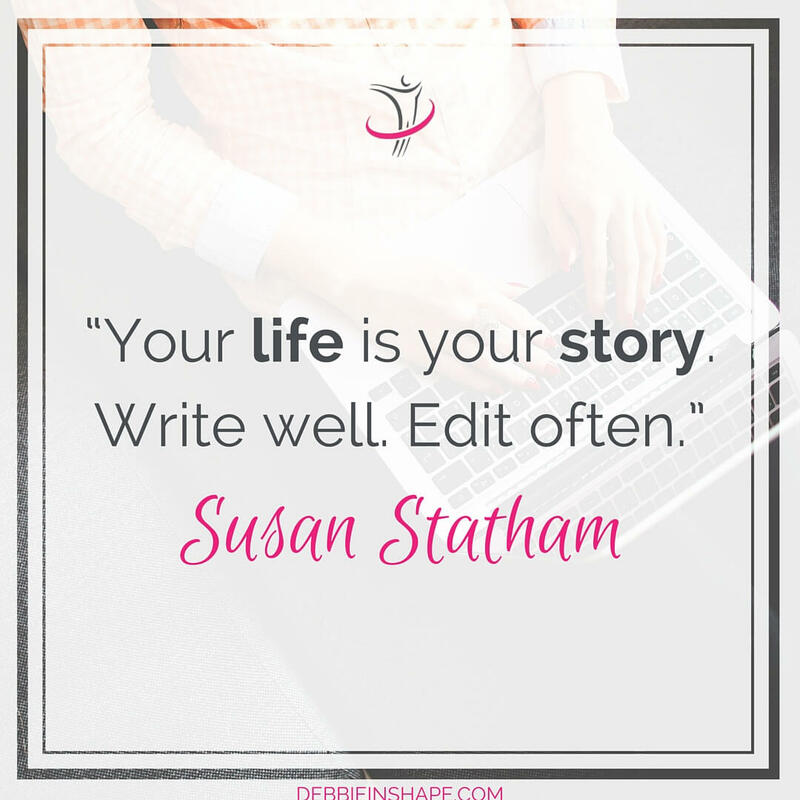 This is perfect when you already have good material on your site, and you are ready to take the next step with your writing. The easiest way to search for opportunities is through Google search. On Problogger, they have an extensive post explaining how you should proceed with an effective search. I highly recommend that you check it out. 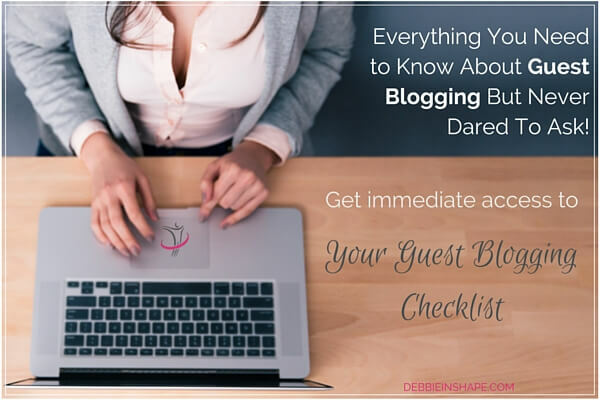 It is true that guest blogging is a fabulous experience, but this doesn’t mean it is risk-free. You want to double check you are not wasting your best post ever just somewhere. To serve to its goal, your guest post better be published on a relevant blog. Don’t fall into the trap just to get one thin backlink out there. 3. Write your best post ever! I’m sure that even before thinking about writing for other websites, you are first delivering incredible posts your own. 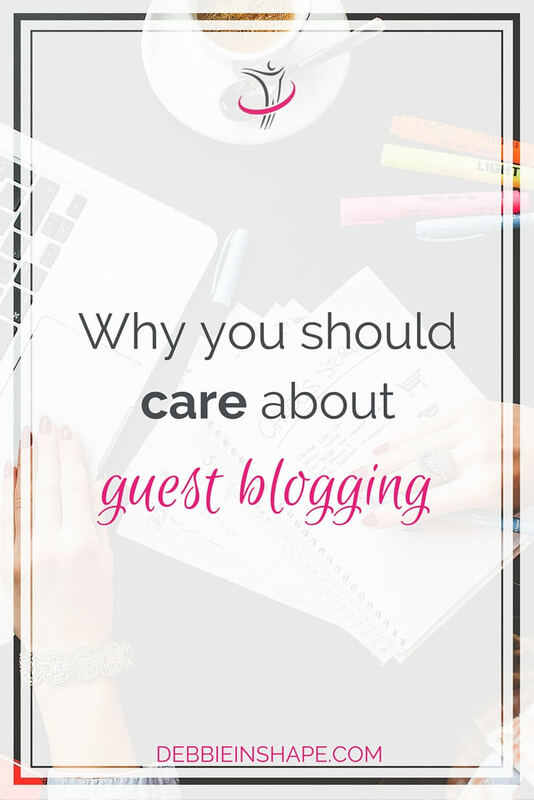 The thing about guest blogging is that they will have to be even better! In the beginning, guest writers were more focused on getting an article stuffed with backlinks. That was THE way to strike a successful guest blogging opportunity. This is all past now, though. Your guest post needs to be filled with useful information. It has to be written in accessible language, and the content will make a difference in the life of readers. To stimulate people to drop by your blog, you need to compose your best text ever without fear. Instead of endless links back to your page, include material from well-known sites. Share the resources that helped you achieve the level of expertise you have today. Help others get connected too. Make your text pleasant to the reader. You don’t want to bore people with extremely long paragraphs in spite of the length of your content. While following the standards of the publisher is advisable, show the visitors what you are made of. At the end of the day, your guest post is an investment. To profit from it, you cannot be stingy with your article. You must aim to the stars. Now that you did all you had to do and your incredible guest post is published can you lay down, relax and enjoy your stats skyrocket?!? Not at all! Getting your guest blogging on a prominent website is an awesome start, still it is only a start. First of all, you want to share your guest post like there is no tomorrow. Share it the same way as you do with the articles on your blog and a little bit more. Let everyone know about the great content you have put together. Yes, you will be leading people to a site that is not your own. However, it is your content. It is about sharing expertise and building social proof. Have you mentioned other bloggers and tools on your content? Make sure you tag them on the social media as well. Keep track of the comments and questions left on the blog. You don’t want to leave the impression your guest post was a hit and run. Build relationships. Your new readers will feel even more compelled to stop by your site if they can connect to you. Now that you have one guest post out there, it is time to go for the next one. Yes, you want to keep the momentum and score another one, and another one. I am not saying you have to drop your blog altogether and focus exclusively on guest blogging. Still, you want to build a plan that allows you to get something new out there on a regular basis. You don’t have to wait until next summer vacation or for the winter holidays. Look around and make a plan to contact publishers for a possible opportunity. To me, the scariest aspect of guest blogging is making time to deliver stellar content to another site on the top of everything we already have to do for our sites. Where are the other 24 hours of the day?!? There is no perfect moment for a guest post. You may need to send various pitches before being first accepted. Don’t let it dishearten you and slow down your efforts. Put into practice any feedback you receive and don’t take it personal. 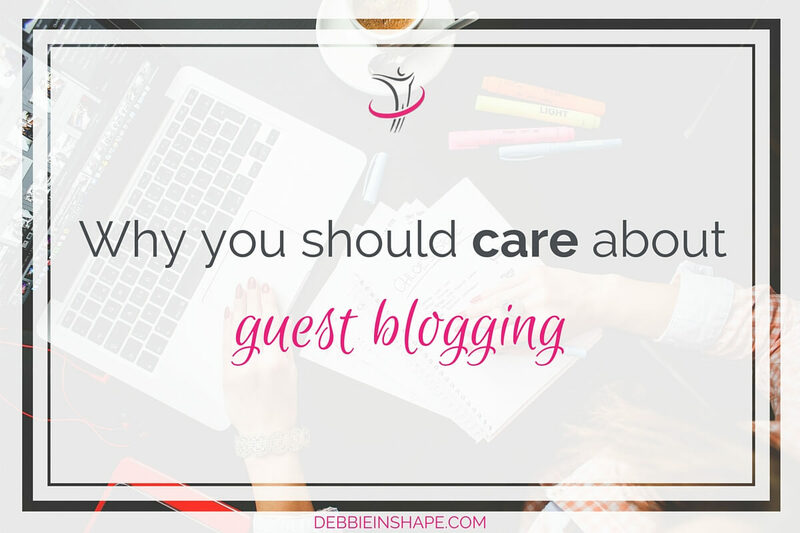 And did you know you can now guest blog for Debbie in Shape? Please read the details and guidelines here. It’ll be a pleasure to welcome your articles to the blog. What is your experience with guest blogging?